If you can't say it in Spanish or French, repeat it three times in English, each time in a louder voice. It's the North American way. LOL I used to work in a print shop and we made screw-ups like that sometimes... but they NEVER made it to production! 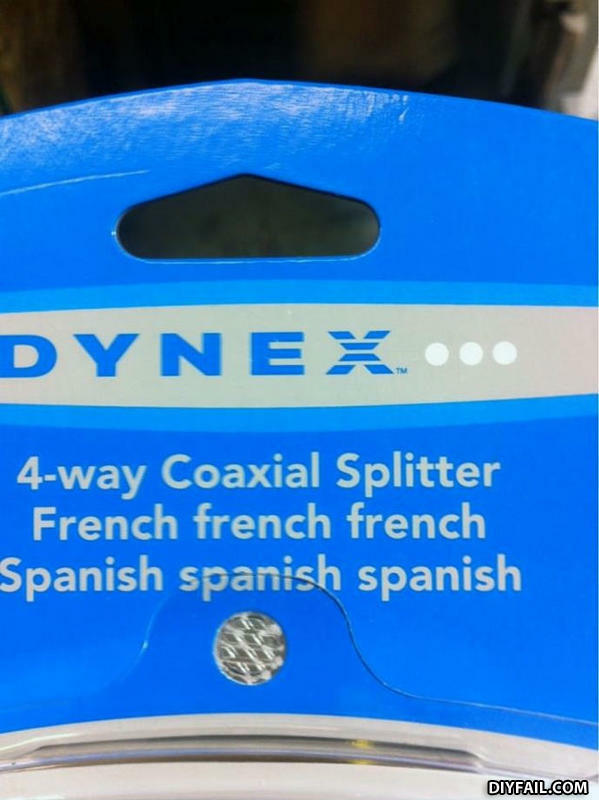 Forgot to plug in the translations for "4-way Coaxial Splitter!" french fries: french toast: french people: Spanish stuff: spanish class: spanish tacos... how many languedges is that? ...that makes... carry the 2... HA! three theres only three!!!!!!! quadruple fail!! !